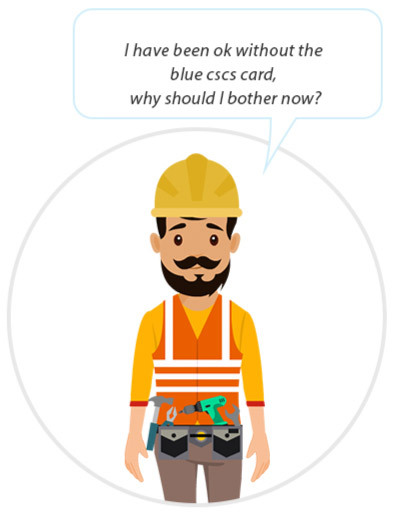 Each day we speak to construction workers telling us how difficult it now is to get on site without the correct skilled worker blue CSCS card. Skillmatch Resources are here to help you, we are the first company to offer an affordable weekly, ‘pay as you go’ method to pay for your NVQ Level 2 qualification, needed to apply for your CSCS card. Scroll to the bottom of this page and book a call with us, we will call you back at a time and date best for you and answer any questions you might have or call us direct on 0208 9012916 or email us on nvql2@skillmatch.eu. I have been ok without the blue cscs card, why should I bother now? In 2005 the Government working with the Construction Industry agreed that all sites in London should be ‘Right CSCS Card Sites’ by 2020. Each year it gets harder and harder for workers, working with the wrong CSCS Card to find work. 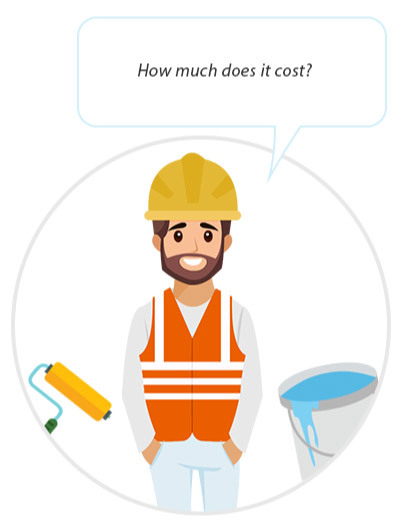 It is estimated that over 85% of major construction sites in London are already ‘Right CSCS Card’ sites, if you are a skilled trade worker you can on y get on these sites if you have the right Skilled Worker Blue CSCS Card and with more and more sites change over to ‘Right CSCS Card Sites’ in 2019 things will only get harder to find good work. Make 2019 a great year for YOU with lots of good well paid work – Sort your CSCS Card Out! 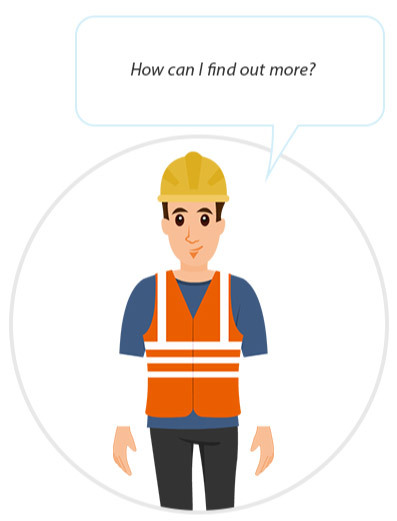 Skillmatch Resources can help you to get the right CSCS Card. 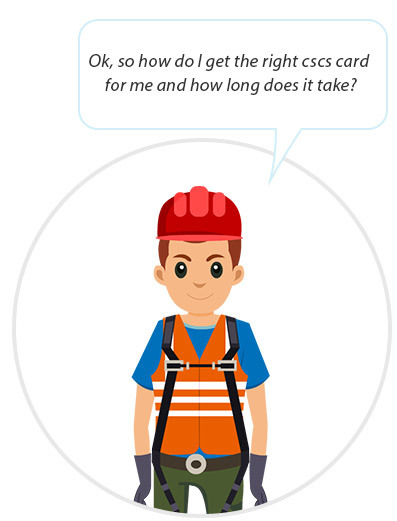 Ok, so how do I get the right cscs card for me and how long does it take? 2) Once signed up we will match you with the right trade expert Assessors to work with you and collect the information and evidence needed for your NVQ Level 2 qualification achieved while you work on site. 3) After collecting the evidence needed your Assessor will write up your NVQ Level 2 qualification portfolio of evidence and send it to the awarding body who will award your NVQ Level 2 certificate. 4) After getting your NVQ Level 2 certificate you can then apply for your Skilled Worker Blue CSCS Card. The whole process can take as little as 3 months, this depends on being able to collect all the evidence needed on site and from you quickly. The NVQ Level 2 is £49.99 + VAT weekly over 30 weeks – Then a final payment of £99.30 for a total of £1,599 + VAT. You will get the chance to speak to one of our friendly knowledgeable NVQ L2 experts who can help you with any questions you might have and help you decide if this is right for you. I need it my CSCS card quick and so used this company and they got it for me in a few weeks so happy to pay money.Assessor helped me a lot my English is not perfect so big help from him. I wanted right card but lots of company tell me we want money now and I say I have not money now so did with Skillmatch as pay weekly only could afford this way. Also they sent good trainer he help me a lot. Skillmatch Resources have helped many thousands of workers like you to get the NVQ L2 qualification they need, quickly, easily and with little or no disruption to their work. We have made getting your NVQ Level 2 affordable by offering an industry first ‘pay as you go’ weekly scheme so you pay while you get your qualification. No up-front cost to find, start straightaway so you can get the CSCS card you need as quickly as possible. Don’t let not having the right CSCS card affect what you earn next year, make 2019 a great year for you and sort your Skilled Worker Blue CSCS Card out so you can get on the sites you want.